The 13 SEO changes suggested in this post will help you achieve better and bigger results in Google and other major search engines. SEO is about change, either changes you have to do because Google changed their algorithms or changes you need to do in order to improve your search engine rankings. What is certain is that if you want to succeed online, by either establishing your presence as a blogger or as an online business, you need to be willing to change the way you do SEO. SEO is not something static; it is continuously evolving affecting and getting affected by a number of factors that comprise a well-designed digital marketing strategy. Anything you do on SEO will affect your campaign and vice versa i.e. your overall digital marketing efforts affects your SEO. Google SEO specifically is far from static and in order to take a small share of the billions of visitors that use Google to search the web you need to be creative, ready to make changes, willing to make tests (and wait to see the results) and be prepared to invest time and money for reaching your ultimate goals. In my 12 year SEO career I have made many changes to my SEO campaigns and some worked better than others. What I will explain below is what I think are the most important SEO changes you can do now for faster and better results. 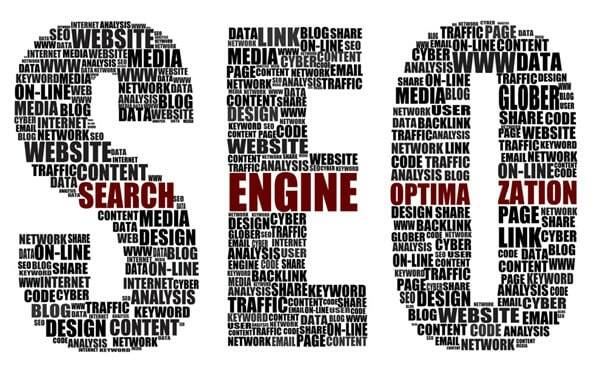 Finally and before getting into the changes, do not forget that SEO is about a lot of small things that need to work together in order to produce good results. In other words making only one or few of the changes may not generate the same results as making all the changes together. Change #1: Let’s go mobile! There is absolutely no excuse for any website (small or big) not to offer a mobile friendly version. 2014 is not only the year of the mobile but we are actually living the era of mobile. Everything is mobile, everyone is using a mobile and mobile friendly websites are a must. A more usable website – designing for mobile in mind will make your desktop website more functional as well. See below monthly statistics from one of our websites which shows exactly the importance of having a responsive website. We have started an initiative to help webmasters make their websites responsive at a low cost so get in touch today for more details. A blog is a great way (even for businesses) to add to more relevant content to a website and it can work if you learn how to choose your blog post titles carefully. If you are running an ecommerce website you can create new pages comparing different products from your store. If you are running a corporate website you can blog about the latest developments in your industry. Don’t forget that there are also ways to get users generate the content for you by setting up a forum or encouraging user commenting. This is one of the oldest SEO tips but one that not many people use. The Click Through Rate is the percentage of people who click on your web site listing from the search results. If you go to Search Queries in webmaster tools, you will notice that for each keyword your website appeared in search, google gives you the CTR. How is this useful? You can spot which keywords have a low CTR, then find out which pages rank for the particular keywords and optimize their titles and descriptions to make them more attractive to searches. Once you do the changes it may take a couple of days (or more) for Google to them into account and you can then compare the results before and after the changes. Change #4: Make your strong keywords, stronger! You can use the reports in Google webmaster tools (search queries) and Google Analytics (Acquisition -> Search Engine Optimization -> Queries) to find out which keywords bring you traffic and the ranking position of you website for the different keywords. 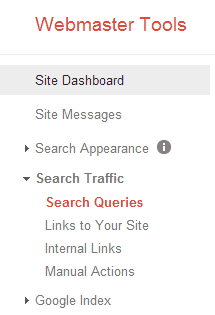 Look at these reports and try to identify which keywords bring you some traffic but they are not on page 1 of Google. These are definite ‘winners’ and the keywords you should concentrate on since an increase in their ranking position will also increase your organic traffic. This is directly related with point 3 above as there are many studies that show that the presence of the author image in the search results increases CTR. 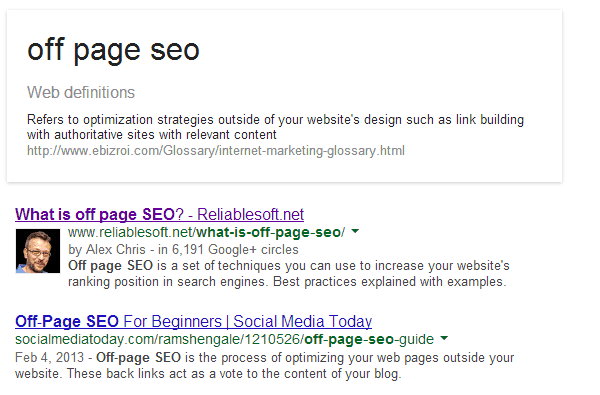 As a clarification, google authorship is for individuals and google publisher is for companies or websites. Besides improving CTR and Google trust, there are many more reasons to become an active user on Google+. For starters and although Google officially does not accept it, there are many studies that show correlations between google +1s and higher search rankings. In addition, Google+ is a great social network which in some cases can generate traffic and sales as well. A faster website means more visits, more sales and more conversions. Web site load speed is a ranking factor and makes a website friendlier for the user. Page speed insights – This is a tool from Google which gives you recommendations on what to improve on a website to make it load faster. It works for both desktop and mobile websites. For each version you will get a rating (out of 100) and a list of recommendations. While every website is different you should aim for a score above 90% for the desktop. Webpage test.org – With web page test you can test how long it takes for your website to load from various locations. This is very useful especially in the cases that you do not live in the same country as your users. Besides the time it takes for your website to load for the first time and repeating time, you also get a view with details about each and every component on your page which makes it very easy to identify what is slowing down the site and how to improve it. Unfortunately improving the page speed is a technical issue and if you don’t have the skills it will be difficult to tackle with success. In such cases the best solution is to get help from experts (contact us for more information). It’s a great way to help search engines understand what the linking page is all about (by using keywords in the anchor text). When was the last time that you did a health check on your website? If the answer is ‘never’, don’t worry you are not alone. Nevertheless that does not mean that you should not do it. If a website has problems, most probably this will also affect both rankings but also the user experience with the site which is equally important for long term success. Check DNS health using the dnscheck tool from pingdom – If there are any errors or warnings then you need to inform your hosting company since it is probably something wrong from their part. Besides doing the health check explained above, it is also highly recommended to perform an SEO Audit of your website at least once per year. The audit report will help you identify areas that need to be fixed and areas that can be improved to generate more traffic and visits to your website. A good SEO Audit will touch on social media, on page SEO, off page SEO and generally all aspects of digital marketing. Local SEO is particularly important for small businesses that need to find customers in their local area. As explained in a previous post, local SEO is different from ‘global’ SEO and for the majority of businesses this is all they have to do in terms of SEO. Run your website against the local seo checklist and make all the changes needed to optimize your website for local searches. Everybody understands the importance of SEO for online success but when it comes to budgeting some businesses still consider SEO as an expense and not an investment. This is not the correct approach and if you are still not convinced, go ahead and read about the benefits of SEO for small businesses. A typical SEO budget will be in the range of 500 – 3000 (USD) per month depending on the size and type of a business. This money if spend correctly can generate a constant amount of website traffic that can help a business fulfil its goals in both the short and long term. Change #12: Be patient – don’t try anything st@p@d! This is not an SEO change but rather an attribute change. SEO takes time and those that are patient enough always win at the end. When you make any of the changes mentioned above you need to be patient and monitor your rankings for a number of weeks to see if what you did works or not. If you lose your patience and choose to follow any of the magic packages you find on the web then chances are that you will get a penalty by Google and lose your money without archiving anything online. Many factors affect the time needed to rank in Google but in general you need at least 5-6 months in order to access if your SEO efforts are working or not. Do not forget that you are not alone in this game so it is sometimes necessary to know what your competitors are doing. If you are targeting the global internet market then most probably you have to compete with thousands of websites across the whole world. Take note of their titles/descriptions, content length and mentions of the particular keywords (and variations) in the text and compare them with your results. Your goal from doing the competitor analysis is to learn from them and identify things that you can do better to outrank them. SEO is dynamic because there is a lot of competition on every niche and because Google is working continuously trying to make their algorithms better and their search results more accurate. If you want to stay in the game, you have to follow the SEO changes and stay in synch with the latest developments. While the basic SEO principles stayed the same the last 10 years, new things come to the surface (think responsive design, social media, google authorship) that are forcing you to reconsider your SEO strategy. As a final word, SEO is not something imaginary or theoretical but it is a practical science you can put into action and generate real results that can change the way you do businesses on the Internet. The point about focusing on search terms with high engagement is a really interesting one. My post about ‘best about us pages’ ranks top of Google and gets like 150 uniques a day but the traffic largely bounces once they get what they are after. I often wonder about the signals.